At BVECCS Emergency Vet in Brisbane, our people make all the difference. Our staff are chosen not only for their impressive skills and knowledge but also their level of commitment and caring. Find us here. As pet owners ourselves, we appreciate the distress felt when pets are ill or injured. Understanding this can be a difficult situation for you, we strive to deliver both exceptional client and patient care. We complement the services of your usual veterinarian and all of your pet’s records, lab results and X-rays are emailed to them. This ensures continuity of care the following day and ensures your vet will always have a complete medical history. At BVECCS Emergency Vet, 24 Hour Vet Hospital, in addition to having the latest technology and equipment, we are also proud to have a team of dedicated and experienced vets and nurses who have the expertise to handle all your pet’s needs. We also share premises with the Brisbane Veterinary Specialist Centre, so our patients always have fast access to specialist skills if required. Lisa graduated from Sydney University in 1995 with a career goal to work in the field of veterinary emergency medicine. 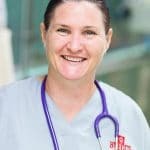 After completing a Post-Grad course in Emergency Medicine in 1998 Lisa continued her studies and gained Membership to the Australian College of Veterinary Scientists in the field of Emergency Medicine & Critical Care in 2003. 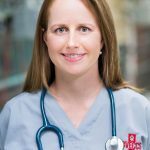 Lisa continues to be passionate about Emergency Medicine & Critical Care with a particular interest in trauma & shock, fluid therapy, & tick paralysis. 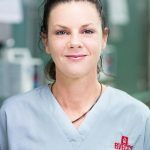 With experience gained by managing a busy specialist emergency hospital in Sydney for 7 years, Lisa moved to Brisbane in 2006 and along with Dr Lyndal Holloway, owns and manages the BVECCS Emergency Vet, 24 Hour Vet Hospital and team. 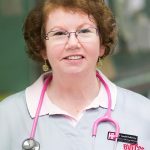 Lyndal graduated from the University of Queensland (UQ) in 1987 and spent 5 years in general practice in Brisbane before moving to Sydney to embark upon her emergency career. As part of the emergency crew in one of Sydney’s busiest specialist referral hospitals, Lyndal gained valuable experience in a specialist environment and obtained her Membership to the Australian College of Veterinary Scientists in the field of Emergency Medicine & Critical Care in 2003. Her special interests include toxicities and septic shock. In 2006 Lyndal returned to Brisbane to open the Brisbane Veterinary Emergency & Critical Care Service (BVECCS) in partnership with Dr Lisa Ashe. 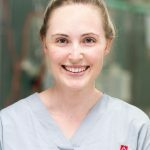 While completing her studies Ainslay worked at BVECCS as a veterinary nurse, gathering valuable experience until graduating as a Veterinarian in 2010 from the University of Queensland. Expanding her veterinary skills, and missing the fun and excitement of emergency work, Ainslay started back at BVECCS Emergency Vet, 24 Hour Vet Hospital part-time in 2012 and is now a valued full-time member of our emergency team. Ainslay’s special interests include soft tissue surgery and anaesthesia. Ann-Marie graduated from the University of Queensland in 2004, and immediately included emergency work into her veterinary employment. 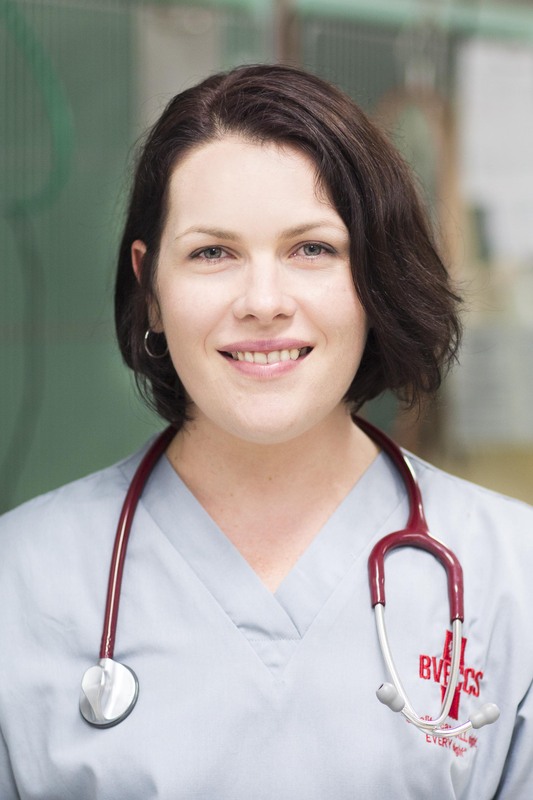 Completing a post-graduate distance education course in Emergency and Critical Care Ann-Marie also obtained Membership to the Australian College of Veterinary Scientists in Emergency Medicine and Critical Care in 2010. 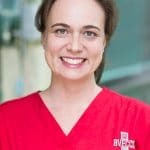 Before joining BVECCS Emergency Vet, 24 Hour Vet Hospital in 2010 Ann-Marie developed her skills working in busy small animal emergency & critical care hospital in Melbourne and has special interests in toxicology, and all aspects of the diagnosis and management of intensive critical cases. Bridget graduated from University of Queensland in 2001 and spent the first 2.5 years of her career in England, in semi-rural mixed practice in North Yorkshire and Lincolnshire, where she saw everything from the usual cattle/sheep/dogs/cats to seals, squirrels, pot-bellied pigs and badgers. Bridget then returned to Brisbane and small animal practice only. Bridget worked in the one practice for 10 years where she was predominately sole charge and had the privilege of mentoring 3 new graduates. Bridget started emergency work with BVECCS in October of 2015. She really enjoys the variability and excitement of emergency work. More recently, Bridget is venturing down the road of a Masters of Veterinary Medicine (companion animal studies). Cheryl graduated from the University of Melbourne in 1995 and commenced work in small animal practice. 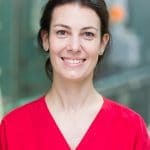 She was drawn to her first emergency position in Sydney in 2001 and passed her membership examinations in veterinary emergency medicine and critical care in 2003. Combining her love of travel and conservation Cheryl worked with wildlife in Thailand and South-East Asia in 2005. Expanding her skills again Cheryl was employed to teach veterinary students in anaesthetic practice at the University of Sydney. 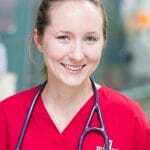 Erin graduated from the University of California, Davis in 2009, and then completed a rigorous one year internship at a prestigious specialty veterinary hospital. She spent the next 6 years working at both a large emergency/specialty hospital and in general practice in the San Francisco Bay Area. She recently moved from the United States to Brisbane with her husband, son, and dog and is having a lot of fun exploring all that Australia has to offer. Erin enjoys the challenge of emergency and internal medicine, but is also passionate about preventative care and forming long lasting relationships with her clients and patients. Giles graduated in 1997 from the University of Sydney with 1st class honours in veterinary science. She was first employed in a mixed general practice before moving to Small Animal practice after 2 years. Travel beckoned and Giles lived and worked in the UK for 3 years, further adding to her veterinary experience. 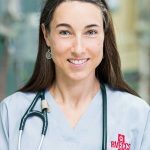 Venturing into the emergency side of veterinary practice 10 years ago, Giles discovered she enjoyed emergency work and has continued in this field along with having a family. Giles also enjoys surgery and joined BVECCS Emergency Vet, 24 Hour Vet Hospital in 2013. Kat graduated in 2010 with a BVSc from JCU in Townsville. She went on to complete 2 years of general practice at a small animal clinic in Townsville. Kat then moved to Brisbane and started working at an emergency centre on the gold coast and stayed there for a little over 18months before joining the team at BVECCS. Kat has a special interest in medicine cases. Nat is a small animal internal medicine specialist. She completed her internship at Washington State, and residency at Iowa State. She has worked in veterinary specialist hospitals in SE Qld for the last 14 years. Nat has a keen interest in all things internal medicine (including advanced imaging and endoscopy) but loves the exciting and rewarding emergency and critical care work at BVECCS! Nikki graduated from University of Queensland in 2002 with class 1 honours. 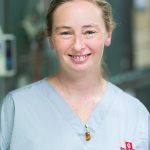 Her first position was in mixed practice in western Queensland, where she gained valuable experience in surgery and emergency care, before returning to small animal practice in SE Queensland. Continuing her education Nikki, completed a post-graduate course in dermatology in 2008 and is currently studying for her memberships in Emergency and Critical Care. Nikki joined BVECCS in 2012 and has a keen interest in surgery and trauma cases. Samantha graduated in 2011 from UQ. She worked in Sydney and then Darwin doing small animals only, then moved back to Brisbane in 2014. Samantha joined us at BVECCS Emergency Vet, 24 Hour Vet Hospital in 2016. Sam is studying emergency and critical care because she loves the fast-paced nature of this area and the sheer amount of knowledge required. Sophie graduated from UQ in 2009 and spent the following year at a mixed practice. 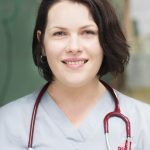 A talented graduate, Sophie resumed working and managing a busy one-vet practice gaining invaluable experience in emergency medicine, which has provided her the expertise she needs to assist in offering emergency pet service in North Brisbane. Sophie joined BVECCS in 2011 and has undertaken post-graduate study in veterinary small animal emergency medicine. Steph graduated from the University of Queensland in 2004 and went on to complete a challenging mixed small animal internship at the Brisbane Veterinary Specialist Centre. This internship covered a broad selection of specialties including the areas of medicine, surgery, cardiology, ophthalmology and critical care. Steph is currently in the process of completing her memberships in Small Animal Internal Medicine with the long-term goal of becoming a Small Animal Medicine specialist. Steph joined the BVECCS veterinary team in 2012 bringing with her a passionate interest in critical care medicine and valuable skills reflecting her knowledge and experience. Stephen studied undergraduate and postgraduate Marine Biology & Zoology at UQ in the 1970s, before switching to Vet Science in 1980, and graduating in 1986. He initially worked in research at the Department of Physiology at the University of Queensland, then commenced work in general veterinary practice in 1988. 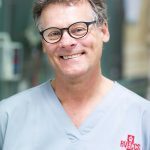 Stephen first started working at BVECCS Emergency Vet, 24 Hour Vet Hospital in 2006 and continues to provide a wealth of experience to our emergency team. Dan graduated from UQ in 2006 with first class honours. 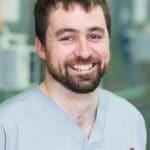 Dan worked in general practice on the northside of Brisbane for 2 1/2 years before locuming across Brisbane and the Gold Coast. 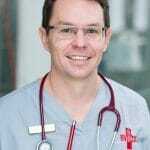 He started in emergency practice in 2009 and has worked on both the Gold Coast and Brisbane. He commenced work at BVECCS in 2011. Dan’s interests within veterinary science include ventilator medicine and surgery. Rob graduated in 2011 from the University of Queensland and started practice in Bundaberg, treating small animals, reptiles and fish. In 2015 he moved back to Brisbane, and worked overnight in a small 24 hour practice, caring for hospital and surgical small animal patients. Rob joined BVECCS in September 2016 to pursue an interest in emergency medicine and surgery, and says he could not be happier that he did. When you need it, BVECCS Emergency Vet, 24 Hour Vet Hospital is here for you, and your pet.